Ceramic braces are made of translucent (clear) material, and are therefore less visable on your teeth than ther metal counterparts. Thare are most popular with adult patients, due to their cosmetic appeal. The braces have porcelain brackets affixed to the outside of the teeth, but have no metal. The only visible metal is the arch wire. The treatment is similar to standard stainless steel braces. The drawback to ceramic brackets are that they are more fragile. Ceramic braces are also larger and slightly less durable than metal braces. They require more attention to oral hygiene and can be more difficult to keep clean. Orthodontists tend to use ceramic braces on upper teeth more often than lower teeth, due to their lower durability. 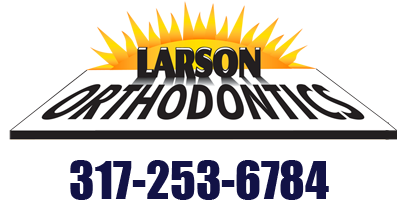 To find out whether ceramic braces are the right choice for you, come in and discuss the options with Dr. Larson. Contact us for an examination and consultation at one of our two convenient locations.